Computer science is the scientific study of computers and their uses, including software, programming languages, information systems, information technology, artificial intelligence, and machine learning. Computer scientists, programmers, IT workers, data scientists, and web developers are all highly compensated, in high demand, and can excel in nearly every industry. Computer science is also one of the best degrees for those wishing to forge their own path or create a business of their own. In recent years a number of top universities have begun to offer bachelors degrees in computer science fully online. Whether you already have another degree (post-baccalaureate), have already completed your general education requirements (or have an associates), or are starting a college degree for the first time, there are a number of top computer science degrees online. Affordability (1/3): the out-of-state tuition per credit hour relative to other surveyed programs. Prestige (1/3): the ranking of the parent institution in other top periodicals such as Forbes and US News. Number of Concentrations (1/3): the number of emphases, concentrations, or specializations students may tailor their education with. Oregon State University is located in Corvallis, Oregon and is known as one of the highest volume research universities on the west coast. The University shares the distinction of being a land-grant, sea-grant, space-grant, and sun-grant institution with only one other university in the nation (Cornell), and has been classified by the Carnegie Foundation as a “community engagement university.” Oregon State University has more majors, minors, and special programs than any other higher education institution in the state of Oregon. OSU also recieves more research funding than all other higher education institutions in the state combined. Over 900 courses are offered through OSU’s “ecampus” which was ranked in the top 5 programs in the nation for online institutions by US News in 2015. Students who graduate from the ecampus receive the same diploma and transferring ability as students at the brick and mortar location. Oregon State University University’s eCampus offers degree and degree completion programs in all 50 states as well as 40 other nations. OSU’s top ranked online bachelors of science in computer science program is a special post-baccalaureate program offered by the School of Electrical Engineering and Computer Science. The program is geared towards students who hold a Bachelors degree in any discipline, and no prior computer science or engineering experience is necessary to enter the program. The program is offered at four varying levels of acceleration, depending on how much time week-in-week-out students have to devote to the program. These denominations include one through four-year increments. For a top tier program, this allows a great deal of flexibility for students. The shortest amount of time in which the degree may be completed is in a year of full-time online study. All program options require 60 credit hours for completion. Note that this is around half of what a traditional bachelors level degree requires, as the post-bacc nature of the offering only requires major courses to be completed. Program costs are modest, coming in at the middle of the pack for surveyed schools, and on the cheap side for a top research institution. Though many top technology leaders have passed through OSU’s engineering and computing departments, two of the most notable alumni include Douglas Engelbart, creator of the mouse and creditor of the initial concept of email, as well as Stephen O. Rice, a pioneer in information science for his research on the Rice Distribution and Rice’s formula. 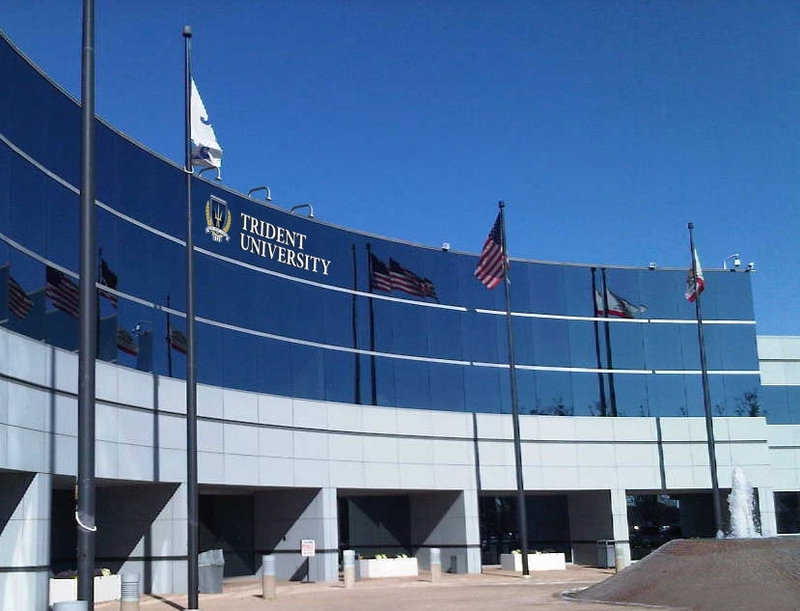 Trident University is a regionally accredited, for-profit, and fully online school originally established in 1998. Degrees are offered in particularly practical disciplines including business, health sciences, education, and information systems. Programs of study from baccalaureate through doctoral levels are offered fully online, and Trident is often heralded as one of the most military-friendly colleges. Pedagogy at Trident University is provided according to the robust learning model, an online-centered education and information studies theory. The Robust Learning Model is centered around providing quality instruction, flexibility, brick and mortar campus-like support services, and the ability to accelerate time until degrees in scalable online formats. A large portion of students at Trident University are veterans or current members of the armed forces. Student to teacher ratios are low for an online-only school at 17:1. In line with Trident’s well thought out online-centered pedagogy, the school is the first regionally accredited college that is fully online. Regional accreditation is the highest school-wide accreditation offered in the United States. According to US News, Trident is classified as a national university. The top ranked online bachelors of science degree at Trident University requires 120 credits in total and provides a broad base in computing topics: Networking and Data Communications; Human Computer Interaction; and Information Security and Technology. On top of general education and core concepts, the program offers the choice between a general track and a concentration in cyber security. Cyber security is a particularly useful concentration for the school’s largely military student base, and may be completed in the same number of credit hours as the general track. Tuition per credit hour clocks in as the 7th most affordable of programs surveyed, and one of the most affordable for private institutions surveyed. Granite State College is a member of the University System of New Hampshire, which includes eleven locations throughout the state. The primary demographic served by Granite State is adult learners, though all accepted students may take courses at the institution. The adult-centered nature of the college shows in their wide array of online offerings, flexibility in course pacing (part, full time, or accelerated undergraduate degrees), as well diversity of learning-style options. In the past the institution has been ranked as the most affordable institution of higher education in New Hampshire, as well as a nationally ranked school for social mobility. The Bachelors of Science in Computer Science Innovation degree offered by Granite State College is centered around hands-on and applied learning experiences that aim to prepare students for the real-world challenges of computer scientists (be they programmers, data scientists, or other sub disciplines). For associates-degree students in the University system of New Hampshire–as well as associates-degree students at other similar programs that are transferable– the program offers a seamless transition to the bachelors level computer science degree. 69 credit hours are required past general education. With the focus on “innovation” in the degree title exemplified through various management and business courses. Granite State College is classified as a national university by US News, and is the third most affordable program of those surveyed for our ranking. Old Dominion University is one of the largest universities in the Norfolk, Virginia region. Classified as a Carnegie Doctoral, Higher Research Activity University, ODU is characterized by a high level of quality in undergraduate and graduate level instruction. 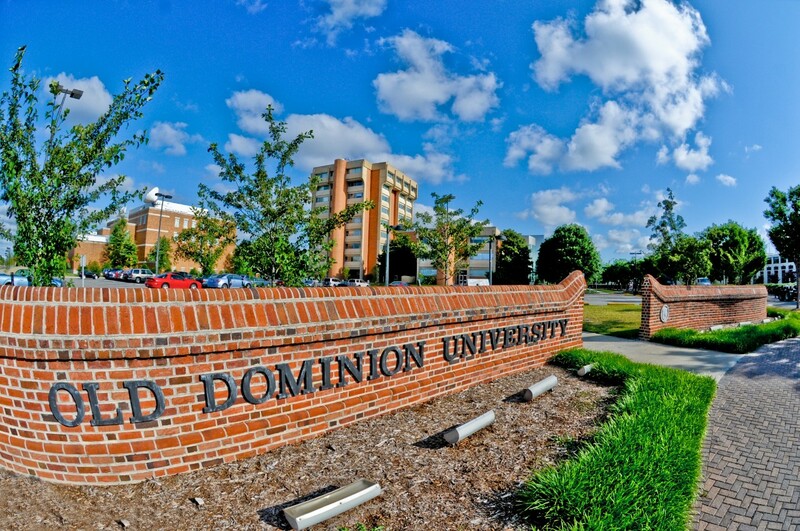 ODU offers over 70 online degree programs at the undergraduate and graduate levels. 75 professors at ODU have been named Fellows in national societies and professional organizations in their fields, with over 400 professional and academic journals edited by faculty. Online programs ranked in the top 50 nationally include their bachelors offerings, their graduate nursing degrees, and their graduate education programs. Old Dominion University’s Bachelors of Science in Computer Science degree is offered fully online in degree completion and full degree formats. At $355 per credit hour it’s one of the most affordable programs we surveyed even while being a private university. For students looking to graduate through the full degree format, 120 credit hours are required with online courses offered through traditional academic school year schedules. Computer Science students through ODU online receive the exact same degree as traditional students. The curriculum is also the same, offering a a broad theoretical basis of computer science as well as a strong applied component. Offerings range through experimental techniques to engineering methodology. Old Dominion University is classified as a national university according to US News. DePaul University is the nation’s largest Catholic University, with its main campus located in Chicago, Illinois. DU has for years been recognized for their focus on quality pedagogy centered on service and experiential learning. The University has also been applauded for efforts to streamline the process of getting first-generation college students into school, and as one of the most diverse student bodies in the United States. On top of diverse online offerings, Depaul has been celebrated more generally as a very tech-savvy organization called one of the 100 most innovative organizations for information technology due to a number of tracking and organizational tools and online support services offered to students. Following suite, the college of computing and digital media is often lauded as one of the top programs in the US. DePaul’s Bachelors of Science in Computer Science is delivered entirely online, and while not self-paced, students may watch and review lectures filmed on campus at their own convenience. Three concentrations are available for students, including game systems, software development, and software engineering. Degree require two capstone projects, one in the sophomore year and one in the senior year. The sophomore capstone project exposes students to advanced concepts earlier in their college career, and is normally related topically to the specialization of the professor overseeing the capstone. The senior capstone project requires students to take on a substantial project with other students, pushing students to practice the collaborative nature of computer science. For students transferring in, degree completion programs are also available. While offering one of more specialized experiences of online programs surveyed, and one of the more lauded computer science departments, DePaul is slightly on the pricier side, ranking 20th of schools surveyed for estimated tuition costs. The University of Florida is a public land-grant, sea-grant, and space-grant university located in Gainesville, Florida. One of the top public universities in the south, UF is classified in the very top tier of research output, as well as a top 20 research university in the United States. On-campus programs are noted for one of the largest student bodies of any US universities. Top 50 ranked schools within the university include education, business, medicine, law, and engineering. Particularly in science and technology fields, research at the University regularly spins out game changing corporations. Some 50 biotech companies have come from the ranks of faculty researchers. Space research, with both domestic and international partners is also a mainstay of the research community at UF. As a graduate of the computer science program at Florida, students join a wide and well connected alumni network of creators and scientists. The online Bachelors of Science in Computer Science degree offered by the University of Florida offers significant freedom to students wishing to tailor coursework to their particular interests and goals. UF notes that the degree is very well suited for students wishing to couple the degree with a second major, or a number of minors. Required coursework includes a liberal arts foundation. Though students may transfer in and finish the program in a degree completion format. The University of Florida is the highest ranked university surveyed in our ranking by other ranking institutions such as US News. It comes at a price, however, with out-of-state tuition ranked 18th for affordability. In-state tuition, however, is particularly affordable at $111 per semester hour. Typical of online bachelors-level computer science degrees, 120 credit hours are required for graduation. Regent University is a private, Christian research University located in Virginia Beach, Virginia. RU offers degrees at associates through doctoral levels, with a wide range of offerings available online. In recent years Regent University has ranked highly for exposing students to many and broad ranging disciplines, faculty quality, and the most conservative students. Particularly as a theological school, Regent has been noted as a “Harvard of the religious right.” Both US News and OEDB routinely rank Regent University’s online offerings in the top 20 in the nation for bachelors degrees. Alumni of the school of education and communications (film department) are particularly noted for their achievements, winning many nstate, national, and international awads. More generally, there have been many well known alumni of Regent, particularly in politics, law, and film. The Bachelors of Science in Computer Science offered online by Regent University reuires students to complete 120 credit hours, with 103 general educatioon and major credit hours required. Remaining courses as well as courses in an optional minor may be completed in any discpline, offering the ability to augment your degree program to fit your interests and goals. Related minors include mathematics, information systems, and business and require 15 additional credit hours for completion. With particularly strong faculty as well as the 10th most affordable tuition rate of schools surveyed Regent University is a good bet for those seeking a computer science degree online. Paired with its unique religious worldview and with its role as a bastion of new thought in conservative arenas and Regent is a particularly unique opportunity for the right student. Florida State University is a public space and land-grant university with a primary campus located in Tallahassee, Florida. FSU is home to the only national laboratory in the state of Florida, and is perennially a top 50 public research university in the United States. 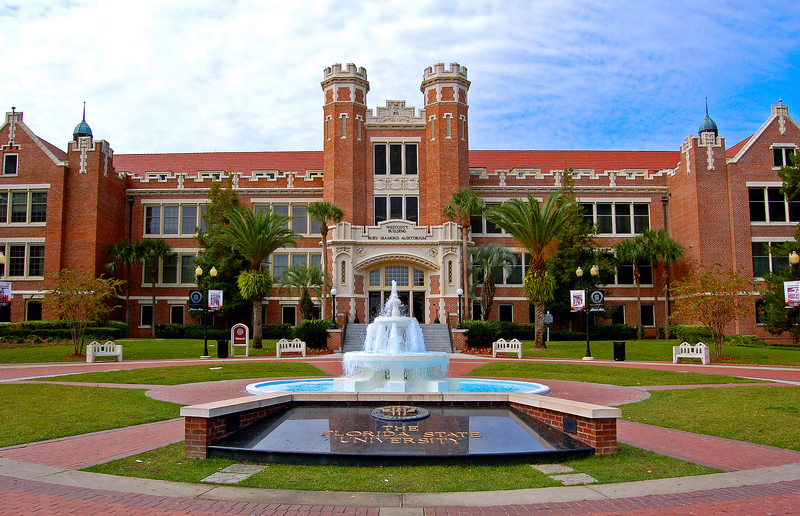 Along with the University of Florida, FSU is the other preeminent research university in the state. The University has added a school of medicine in the last twenty years, and has goals of becoming a top 25 national public research university within the following decades. Departments currently in the top 20 nationally include services for children and youth, criminology, digital librarianship, library and information studies, city management and urban policy, public affairs, and public management administration. Computer science specific achievements of the university include the creation of the first ETA10-G/8 Supercomputer, the fastest supercomputer by a large margin in 1989. The fully online bachelors of science in computer science degree offered by Florida State University requires 120 credit hours four graduation. Assuming the equivalent of an AA degree for students entering the major, full-time students can finish the degree in two years, while part-time students may finish the degree in four. Coursework includes proficiency and prolonged exposure to C, C++, and Assembly Language, with less extensive coverage of other languages including Java, C#, Ada, Lisp, Scheme, Prolog, Perl, and HTML. Extensive experience in supporting math and science disciplines is also required for graduation, with coursework equivalent to a math and natural sciences minor required. Limestone College is private liberal arts college built on non-denominational Christian values and located in Gaffney, South Carolina. One of the first women’s colleges in the nation, Limestone is now coeducational and has a number of campuses throughout the region and online. The college offers associates through masters degrees. Though largely offers bachelors level programming, and only offering one graduate degree (an MBA). 81% of instructors hold terminal degrees in their field. And with a low student faculty ratio of twelve to one, students get plenty of personalized attention from faculty. Four bachelors of science in computer science degrees are available online through Limestone College. With emphases available in computeer and information system security, information technology, programming, and web development and databases this ties the program for the most extensive number of offerings online. Three associates level programs in computer science are also available online. Limestone College is classified as a regional university by US News, and is the 11th most affordable of programs surveyed. Fort Hays State University is a public university governed by the Kansas Board of Regents and located in Hays, Kansas. The student body is currently composed of slightly over 11,000 students, more than half of whom study online. Fort Hays State University was one of the first universities in the world to fully embrace online learning, starting to build online programming from 1999 forward. Currently the university offers 19 bachelors, 10 masters degrees, and numerous certifications through their Virtual College. For courses of study requiring in-person components, FHSU has enacted partnerships with military, community colleges, and universities around the world. FHSU regularly has top 10 ranked online programming across their offerings. Fort Hays State University’s bachelors of science in computer science requires 120 credit hours for graduation. The curriculum is divided into three portions: general education requirements (55 credit hours), major courses (39 credit hours), and specialization courses in business or networking (24 credit hours). A wide range of certification programs are also available online and can further specialize computer science degrees. Fort Hays State University is classified as a regional university by US News, and is the most affordable of all programs surveyed. The University of Illinois at Springfield is a public liberal arts university that is part of the University of Illinois System. The university offers 27 undergraduate degrees, 20 masters-level degrees as well as a doctorate in public administration. UIS is regularly classified as one of the top public schools in the midwest, and is regularly applauded for their online teaching efforts. Online teaching of courses and offering of degrees began in 1999, a very early date for public universities. The bachelors of science in computer science degree offered online by the University of Illinois at Springfield requires students to have achieved 2 semesters of java programming experience as well as one semester of calculus, discrete or finite math, and statistics. These prerequisites may be largely obtained through general education requirements at UIS. An information systems security degree is also available, or students may take some mixture of the two degrees through electives. UIS has been noted for several years by the National Security Agency and the Department of Homeland Secutiy as a National Center of Academic Excellence for Information Assurance/Cyberdefense Education. And students taking the proper coursework in IA (information assurance) may be eligible for additional grants and scholarships from the DoD. UIS is the 6th most affordable program of those surveyed for our ranking. Park University is an independent non-profit, comprehensive masters college with a central campus located in Parkville, Missouri. As one of the primary education providers of the military–Park University was ranked second in the nation for online and nontraditional programs by the Military Times–PU is known for an innovative and expansive roster of online educational options. PU was also ranked 2nd among all private colleges and universities for return on investment by Payscale’s 2015 College ROI Report. The Information and Computer Science department at Park University offers a number of undergraduate offerings online, including an associates degree, two bachelors degrees, a minor, and a certificate in computer networking. Four concentrations are available for PU’s Bachelors of Science in Information and Computer Science degree: computer science, data management, network security, and software engineering. This range of offerings ties PU for second among programs surveyed. After general education requirements, B.S. offerings require 59-66 credit hours for completion, depending on specialty. Park University if the 9th most affordable program of those surveyed. Regis University is a private, Roman Catholic, Jesuit University with a main campus located in Denver Colorado. For the last two decades Regis has been a top ranked regional university, meaning programming covers wide ranging topics at the bachelors and masters level, but very few doctoral programs. Along with traditional degrees, the College of Professional Studies offers campus and online-based learning for adult students around the world. The College of Professional Studies currently has around as many students as all traditional programs at the university, and offers degrees at the bachelors and masters levels. RU is known as a top military friendly school, largely in part to their support services and varied online programming options. In 2014 the College of Computer and Information Sciences was created at Regis University to provide up-to-date undergraduate degrees in Computer Science, Computer Information Systems, and Computer Networking. Drawing on existing online pedagogy know-how from the College of Professional Studies, all computing degrees through RU quickly became ABET accredited. The programs are currently the only ABET accredit programs of their kind that are offered fully online and in the classroom. 128 credits are currently required for completion of the bachelors of science in computer science program online. Though students may elect to take an accelerated bachelors plus masters program online. Regis University is currently the 14th most affordable program of those surveyed for our rankings. Lamar University is a public, space-grant research university that is part of the Texas State University System. Located in Beaumont, Texas, LU has around 15,000 students. In the past, Lamar has been lauded for being one of the top schools in the nation for a commitment to core subjects established to be a part of a “well rounded college education” by the American Council of Trustees and Alumni. A number of graduate programs rank well nationally, but the college of engineering is arguably the most respected program at the university. Currently 10 research centers are housed under the college of engineering, which are coordinated by the Texas Centers for Technology Incubation. The university is also part of the Texas Space Grant Consortium. The bachelors of science in computer science degree offered through Lamar online requires 120 credit hours for graduation. Curriculum covers a broad spectrum of computing technologies, including computer programming languages, data structures, information systems, theory of programming languages, software engineering, networking, database, multimedia, applications of computer science and computer architecture. 20 credit hours in mathematics, as well as the ETS field exam are required for graduation. For students wishing to pair their learning with one of LU’s top ranked engineering programs, industrial technology and engineering degrees and courses are also available online. LU is classified as a national university by US news. Lewis University is a private Roman Catholic, and Lasallian university with a main campus located in Romeoville, Illinois. Lewis University is a well regarded regional university, offering bachelors level, masters level, and accelerated offerings for working adult learners. Over 60 degrees are offered in total, with 18 degrees at the bachelors and masters levels offered online. Close to 7,000 students attend LU, almost 5,000 of which are at the undergraduate level. Baker College is a regionally accredited, private career college with a home campus in Flint Township, Michigan. Over 150 programs are offered from associates through doctoral levels, with most focusing on applied or career topics. BU is part of the Michigan Association of Collegiate Registrars & Admissions Officers transfer agreement, which guarantees the acceptance of up to 30 transfer credits to any other participating Michigan college from Baker. Baker bills itself out to be America’s leading career colleges, and specifically endeavors to remain up-to-date with ever changing career-centered techniques and technologies. In an academic climate where academic computer science offerings can lag behind current industry demands, this is definitely a plus. As a regionally ranked college, Baker is known for offerings at the undergraduate and masters level, as well as for a focus on teaching instead of research. The fully online computer science program at Baker College requires 127 credit hours for graduation, as well as a hands on work experience project. The program offers a wide ranging base in computer science as well as coursework in software development, Internet communications, and database administration. A large number of mathematics courses are also required for graduation. Baker College is the second most affordable school of all programs surveyed for our ranking. National University is a private, non-profit university offering degrees at the associates through doctoral level. Though their main campus is located in La Jolla, California, NU is known for pedagogy centered around adult learners and most particularly in an online setting. With online programming presented to students as early as 1996, NU was one of the earliest players in the game. And has since increased their online offerings to include over 100 programs and 1500 courses. Online offerings include streaming videos, real-time discussions, multimedia learning material, and online classrooms. National University is often recognized as one of the largest institutions of higher learning in the United States, as well as one of the top preparers of credentialed teachers in the state of California. National University also leads the way with diversity in their student body, graduating some of the most minority students with masters degrees in the state of California. National University offers both masters and minors in information studies and computer science online. Masters level offerings in the college of computing include computer science, cyber security and information assurance, data analytics, information technology management, and management information systems. Courses in the B.S. in computer science are heavy on problem solving, logic and theory. Students are also exposed to C++, Java, and a number of other programming languages. National University’s program is the 4th most affordable of programs surveyed. City University of Seattle is a private, non-profit university based in Seattle, Washington, and with campuses around the world. Regularly heralded as one of the most comprehensive and high quality online degree providers, City U offers certifications and degrees from the associates through doctoral level. 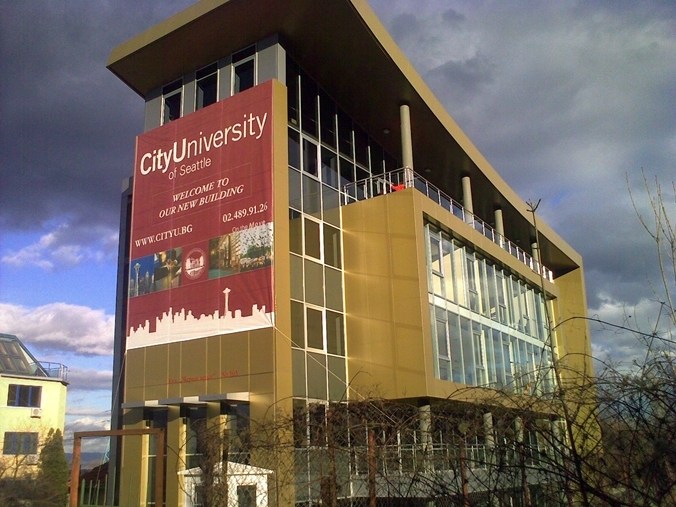 City U’s business offerings are particularly global through partnerships with eleven universities wordlwide, including the Romanian National bank and the Beijing University of Technology. City U is known for keeping curriculum tailored and up to date. Such that they have partnered with many corporate clients to provide cutting edge education, including Alaska Airlines, Boeing, and Uber. The fully online Bachelor of Science in Computer Science program offered by City U is available with three emphasis areas, including information security, programming, and systems engineering. Regardless of what track students choose, the curriculum is up to date and includes subjects such as web design, C++, databases, information security, modern internet technologies, operating systems, management, and computer architecture. Curriculum is applied and built around learning in-demand computer languages and skills. All courses of study may be completed in as little as two years. City U is the 13th most affordable of programs surveyed. The University of Maryland University College (UMUC) is a public university located in Adelphi Maryland that is part of the University of Maryland System. With satellite campuses around the Baltimore-Washington Metro Area, around the world, and a large online student population, UMUC’s student body reaches over 90,000. A particularly unique element of UMUC is it’s admission policy of accepting 100% of applicants to undergraduate programs. For a University that is part of a state system, UMUC also prides itself for providing particularly career-relevant offerings. UMUC is also one of the largest education providers to the US military, largely enabled by innovative online platform offerings. The fully online bachelors degree in computer science through UMUC requires 120 credit hours for completion. Coursework includes theory, science, math, as well as Java, C++, OpenGL, Octave, and MATLAB. Data structures, computer systems, architecture, and image and signal processing are also covered. A wide range of minors can help to provide for students’ unique goals and interests, and include cybersecurity, digital media and web, information systems management, math, and business. Industry certifications are also available. As one of the largest providers of online education in the world, UMUC is known for innovative online presentation and pedagogical techniques. The program is the 17th most affordable of programs surveyed for out-of-state students. 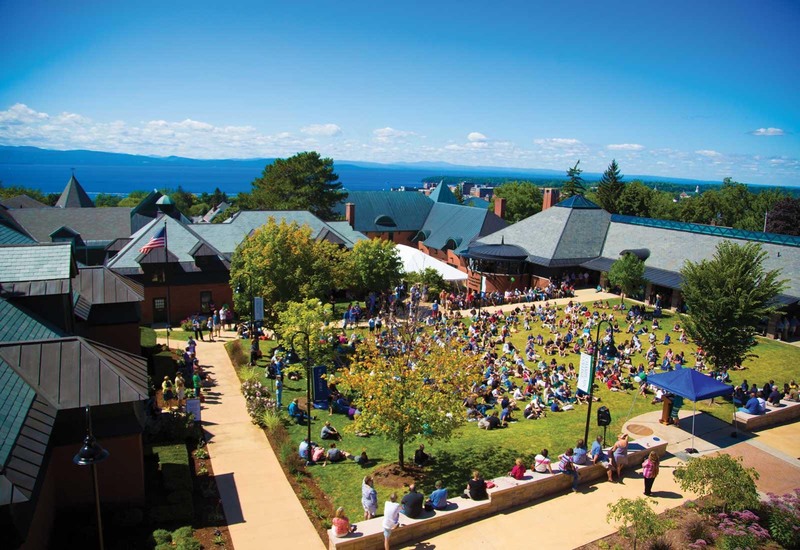 Champlain College is a private regionally accredited masters level college with a main campus in Burlington Vermont. As a masters-level college, CU offers bachelors and masters level offerings in over 80 disciplines online and in person. CU also has academic centers in Dublin, Ireland, and Montreal, Canada. In recent years Champlain has opened a variety of digital creative support facilities, with all students having access to computer labs, animation and game production studios, and extensive editing software. In 2014 CU opened its Makers’ Lab, and in 2015 their center for Communication and Creative Media. CU is also notable for their “upside down curriculum” allowing students to take in-depth and upper level courses from their first semester. General education requirements are also different at Champlain, each incorporating three or four core disciplines into a discussion. First year courses focus on the self, second year on community building and third year courses on global issues. Champlain College offers both an associates and bachelors of science in software development fully online. Both programs are built for working adults, and around practical projects students can begin applying in their work lives immediately. the software development focus tackles subjects such as programming languages, cybersecurity, developing for mobile settings, interpersonal and business skills, and systems analysis. All students have access to cloud-based virtual laboratories for developing, testing, and deploying applications for web and mobile devices. Courses are 7-weeks each–save for certain more complex topics that are in 15-week courses–accelerating student ability to apply new topics to their work. Certifications in C++, Java, and Visual C# are also available. Davenport University is a private, non-profit, university with its main campus in Grand Rapids, Michigan, and multiple additional campuses located throughout the state. The university was established in 1866, following the Civil War, by a returning Union army veteran as the Grand Rapids Business College, with just 16 students in its first class. Today, Davenport has a total enrollment of 5,950 undergraduates and 1,817 postgraduates, and has a small average class size of 16. Davenport awards 50 distinct degrees in business, technology, and health fields at the associate’s, bachelor’s and master’s levels, as well as diplomas and certifications. Some 20% of students pursue a degree in Business Administration; other popular undergraduate majors include marketing, sports management, computer science, health services administration, and nursing. Davenport awards academic credit for qualifying job experience, military training, life experience, and competency testing, giving older students returning to school a leg up in pursuing their degrees. The school is ranked 122nd in Regional Universities Midwest by U.S. News and World Report, as well as 192nd in Best Online Bachelor’s Programs. Davenport awards a Bachelor’s Degree in Computer Science through its College of Technology with several opportunities for specialization. The university is consistently recognized for the strength of its graduates’ programming skills, and Davenport students recently took 1st, 2nd and 3rd places in C# and C++ at the 2016 Business Professionals of America National Competition. The Bachelor of Computer Science degree requires the completion of a minimum of 120 credit hours. Students begin with a 37-hour core, which includes foundations in Algebra and Composition, then take 18 hours in Technology, which introduces topics like Programming and Databases, followed by 42 hours in the Computer Science Major, with advanced classes like Software Engineering and Artificial Intelligence. Students may then choose a 12-hour concentration in Biometrics, Computer Architecture and Algorithms, or Gaming and Simulation. With another 12 house in coursework, degree seekers may earn an additional concentration in Mathematical Modeling. Students with workplace IT experience or training can take advantage of the university’s credit-for-experience policy to place out of certain academic requirements. Tuition is priced at $697 per out-of-state credit. Based in North Charleston, South Carolina, Charleston Southern University (CSU) is a Christian liberal arts institute which is affiliated with theÊSouth Carolina Baptist Convention. CSU is one of the largest accredited, independent universities in the state, serving a diverse student body of 3,575. In spite of its size, the university maintains a remarkably low student-to-faculty ratio of 14 to one. Some 28% of the student body is 25 years of age or older, with many older students maintaining employment while enrolled in part-time online classes. CSU offers 52 undergraduate, 18 graduate and 15 online degree programs, and awards professional degrees in Nursing, Education, Science, Business, Technology, Music Therapy, Criminal Justice, Mathematics, Graphic Design and Pre-Engineering. The school integrates a liberal arts component across disciplines, with the goal of developing critical thinking and communication skills. CSU is dedicated to integrating faith in learning, leading and serving, and operates a number of campus ministries, as well as student service endeavors. For the past 13 consecutive years, CSU has been named to AmericaÕs 100 Best College Buys, and to AmericaÕs Best Christian Colleges for 19 consecutive years, while U.S. News and World Report ranks CSU 89th in Regional Universities South. CSU offers a highly individualized online Bachelor’s Degree in Computer Science, which is designed specifically for students who already hold an associate’s degree in Computer Science or a related field, such as Engineering Technology. With this prerequisite met, the BT degree takes two years to earn, and the curriculum is custom built for each student based on the content covered in their associate’s coursework. The degree combines a liberal arts core with 18 hours of junior- and senior-level coursework in Computer Science, for a total of at least 125 credits. Computer Science coursework includes such technical topics as Systems Analysis/Design, Java Programming, and User Interface Programming. All students complete a portfolio course of computer science projects to showcase their knowledge. Tuition for CSU’s online computer science degree program costs $490 per credit. Salem University is a small, private college which is based in Salem, West Virginia. Originally founded in 1888, the university started off as a liberal arts, teacher education, and nursing college, adding international programs in 1989, and continuing thereafter to broaden the scope of its academic programs. Today, Salem awards degrees at the undergraduate and graduate level in Business, Biology, Computer Science, Criminal Justice, Education, Information Technology, and Nursing. The university has a total enrollment of 835 students, and is dedicated to offering small class sizes and personal attention. The scenic, 100-acre campus is located in the Appalachian Mountains, and is home to historic buildings and a range of student organizations. Salem awards an online Bachelor’s Degree in Computer Science with two concentrations: Data Science and Software Development. The degree curriculum covers the design, development, and maintenance of software systems, including programming languages, algorithms, data structures, operating systems, and software engineering. Courses are delivered in an accelerated format, lasting just 4 weeks. This pace allows students to complete their online bachelor’s degrees in as little as 40 months. Online classes are structured with working adults in mind, and are intended to maximize students’ time investment. The computer science degree requires the completion of a ten-class core, which covers such topics as Fundamentals of Computer Graphics, Introduction to Programming, and Database Architectures. Students in the then take five concentration-specific classes. In the Data Science concentration, these include Data Mining/Data Warehousing, Business Intelligence, and Data Analytics. Those in the Software Development specialization include Data Structures & Algorithms, Compilers & Languages, and Information Systems Security. Tuition for out-of-state students for this online degree comes to $590 per hour. Founded by the Sisters of Mercy in 1950, Mercy College is a nonsectarian, nonprofit college which is located in the town of Dobbs Ferry, New York, with additional sites in Manhattan, the Bonks, and Yorktown Heights. Mercy has a total enrollment of 11,295, and awards over 90 undergraduate, graduate, and doctoral degrees, as well as certificates. The college consists of five schools: Business, Education, Health and Natural Sciences, Liberal Arts and Social and Behavioral Sciences. The majority of instructors hold terminal degrees in their fields of expertise, and the school has developed an innovative mentoring program known as Personalized Achievement Contract (PACT), which pairs students with professional mentors for coaching and guidance. The school has a reputation of excellent value; Mercy was named among the nation’s top 15% for return on investment by AffordableCollegesOnline.org, and Washington Monthly named the school among its 2015’s Best Bang for the Buck rankings. U.S. News and World Report ranks Mercy 6th in Greatest Campus Ethnic Diversity and 249th in Best Online Bachelor’s Programs. Mercy awards an online Bachelor’s Degree in Computer Science, which combines theoretical concepts with practical and marketable skills. Students learn programming in Java and C++, Software Engineering, Computer Architecture, Operating Systems, and Computer Networking. The curriculum was developed and is continually updated in alignment with the guidelines laid out in the Report of the ACM/IEEE-CS Joint Curriculum Task Force. Class sizes are small, and students learn through individual study, as well through collaborating with peers to solve real-world computing projects. The degree requires the completion of 120 credit hours: 60 hours in General Education, 47 in Computer Science, and 13 Open Electives. Classes within the major include Artificial Intelligence, Computer Architecture, and Software Engineering. The program concludes with a comprehensive Senior Capstone Computer Science Project, which synthesizes prior learning. Tuition is priced at $748 per credit hour. Founded back in 1889, Saint Leo University is a nonprofit, private Roman Catholic university which is based in Saint Leo, Florida. Saint Leo is one of the nation’s five largest catholic schools, with a total enrollment of 13,099 students. Class sizes are remarkably small at this large university, where the student-to-faculty ratio is just 14 to one. Saint Leo was an early adopter of the distance education model, offering correspondence courses to active duty members of the military during the Vietnam War. Today, Saint Leo continues to be recognized by sources like G.I. Jobs, and Military Advanced Education as a leading military educator, and recently won the Pete Taylor Partnership of Excellence Award from the Military Child Education Coalition. The institute also promotes an active teaching-learning model, which stresses learning through research and collaboration. Saint Leo is ranked by U.S. News and World Report 61st in Regional Universities South, 36th in Best Colleges for Veterans, along with, and 23rd in Best Value Schools. The school promotes an active teaching-learning model, which emphasizes learning through collaboration and research. Saint Leo’s awards an online Bachelor’s in Computer Science, which is highly affordable, well-respected, and develops in-demand technical skills. The curriculum was designed and updated in alignment with the guidelines of IEEE and ACM, two of the leading organizations in setting educational and scientific computing standards. Students are required to complete 42 hours in General Educational requirements, followed by 48-51 credits Computer Science courses. Class topics include Computer Systems, Programming Logic And Design, Database Concepts and Programming, Computer Forensics, and Network Defense and Security. Students may continue in with a general computer science degree, or specialize in Information Assurance Specialization by taking 12 credit hours in such cyber security classes as Internet/Intranet Security, Applied Data Mining and Disaster Recovery. Students benefit from a world-class online bachelor’s degree program; Saint Leo is ranked by U.S. News and World Report as 88th in Best Online Bachelor’s Programs. This outstanding online computer science degree has a remarkably affordable tuition, costing $360 per credit. Located in Madison, South Dakota, Dakota State University (DSU) is a public university which was originally founded the first teacher training institution in the Dakota Territory as early as 1881. Today, DSU awards degrees at the associate’s, bachelor’s, master’s, and doctoral levels, and has a strong focus on technology integration. Regardless of their major, all students take a computer literacy and programming course, and use both iPads and laptops in the classroom. Total enrollment at DSU comes to 3,047, and the student to faculty ratio is 17 to one. A full 40% of students choose to major in Computer Science or Information Science, for which the university is known, with Education and Business the next most-popular choices. DSU was one of the first schools in the nation to receive recognition from the National Security Agency as a Center of Academic Excellence in Cyber Operations. U.S. News and World Report ranks the university 118th in Regional Universities, Midwest, and 34th in Top Public Schools. DSU awards an online Bachelor’s in Computer Science which features small class sizes and high-quality academics. All online instructors hold Ph.D.’s in computer science, and course work involves both independent study, and group discussions and collaborations. The course of study requires 120 credits, and includes a general education foundation, as well as classes within the computer science major, such as Operating Systems, Language Processing, and Database Management Systems. DSU administers an information technology honors program, the Center of Excellence in Computer Information Systems, and the Information Assurance Lab, which provides networking, security, and anti-hacking tools. DSU is the regional leader in technology, and its students are two-time winners of the National Cyber League (NCL) competition. The program was ranked 12th for Best Online Computer Science Degrees by AffordableCollegesOnline.org, and tuition is reasonably priced at $458 per out-of-state credit. Headquartered in Long Beach, the California State University (Cal State) is a large, public university system in California. Comprising a total of 23 campuses and 8 off-site centers, Cal State serves a notably diverse body of 478,638 students, and is the single largest four-year public university system in the nation. In fact, about half the bachelor’s degrees awarded in the state of California are from Cal State. The system is also one of the nation’s leading sources of graduates who move on to acquire Ph.D.’s. This massive entity grew from a modest teacher-training school, the Minns Evening Normal School in San Francisco, which was established back in 1857, acquired by the state in 1862, and eventually became California State University in 1960 under the California Master Plan for Higher Education. Cal State and most of its campuses belong to the Association of American Universities (AAU) and the Association of Public and Land-grant Universities (APLU). The school system runs a number of research initiatives in fields like Biotechnology and Agriculture. Cal State awards an online Bachelor’s Degree in Computer Science through the online learning division of their Monterey Bay campus. The program is designed to teach fundamental computer science concepts while also providing hands-on practice in applying skills to real-worlds problems. Classes are frequently project-based and involve teamwork as well as independent study. The bachelor’s degree curriculum is aligned with the standards set forth by the Association for Computing MachineryÕs Computer Science 2013 Curriculum Guidelines. Students may choose between four concentrations within the computer science bachelor’s program: Software Engineering, Network and Security, Game Development, and Data Science. All degree seekers complete a General Education core, followed by 50 credits in core Computer Science classes, such as Operating Systems, Computer Architecture, Software Design, and Design and Analysis of Algorithms. Students must then select 8 Computer Science electives, and complete an additional 12 hours in concentration-specific coursework. The program includes a group-based Computer Science Capstone Project designed to showcase collaborative problem-solving skills. In addition to the traditional computer science bachelor’s degree track, students may opt to follow a cohort-based CS++ program or computer science degree-completion program, with a prearranged four-year curriculum and comprehensive academic support services. Tuition is reasonably priced, costing $529 per credit for out-of-state students. The school was originally established in 1926 under the Lutheran Church as a high school, becoming a junior college in 1951, a four year college in 1980 and a full university in 1995. Today, Concordia awards an array of undergraduate and graduate degrees for both traditional and non-traditional students. The current campus is located on 389 acres in Northwest Austin, and includes a diverse nature preserve, with natural springs, wetlands, and caves that is home to several local endangered species. The school serves a student body of 2,565, and emphasizes the development of Christian leaders throughout its programs. U.S. News and World Report ranks the university 96th-126th in Regional Universities West. Students can earn an online Bachelor’s Degree in Computer Science degree through Concordia which is balanced, focused and affordable. The program includes a liberal arts component, which develops critical thinking and communication skills, essential for success in the modern workspace, as well as technical training in computer skills. The bachelor’s degree requires a total of 128 credit hours: 42-44 in the Liberal Arts Common Core, 3 Global/Cultural hours, 6 in a Foreign Language, 15 in Math/Science, and 33 in the Computer Science Major. Computer Science class topics include Data Structures and Algorithm Analysis, Programming Language Concepts, and Computer Architecture. Online classes are offered year-round, and last just 8 weeks. Up to 83 transfer credits may be applied towards the degree, allowing those with prior coursework in computer science to graduate even sooner. Tuition is moderately priced, at $460 per out-of-state credit. Founded in 1932, Southern New Hampshire University (SNHU) is a nonprofit, private university which is based in Manchester, New Hampshire and has additional centers in Nashua, Salem and Portsmouth in New Hampshire and in Brunswick in Maine. The school has a total enrollment of 73,177, with almost half that number pursuing online degrees. SNHU’s pioneering of accessible and high-quality online education has won it wide recognition for innovation, and made it one of the nation’s fastest-growing universities. The university’s online school blends many of the student-centered learning features which have made for-profit online schools so popular (such as highly engaging programs, extensive student support, and data-driven models) with the academic excellence and illustrious faculty of a prestigious nonprofit school. U.S. News and World Report has ranked SNHU 1st in the country in Most Innovative Schools for three consecutive years, as well as placing it 86th in Regional Universities, North and 83rd in Best Value Schools and 46th in Best Colleges for Veterans. Class sizes in both on-campus and online programs are exceptionally small, with an overall student to faculty ratio of just 13 to one. SNHU confers an online Bachelor’s Degree in Computer Science which is both prestigious and affordable, and includes the option to pursue a concentration in Software Engineering or Information Security. Courses are offered in a time-efficient format of six 8-week terms per year, and are taught by faculty with real-world computer science expertise. Students in the program learn a variety of marketable skills, such as programming in Python, Java and C++, knowledge of operating environments like Linux, Windows and mobile, and understanding of software development and testing platforms, including Netbeans, Eclipse, OpenGL and Maven. Students complete a General Education requirement, and credits in free electives, followed by core science, math and computer science courses, such as Fundamentals of Data Mining, and Object Oriented Analysis and Design. Those on the Information Security track will take courses such as Network Security, and Cyber Security and Information Assurance. Those pursuing the Software Engineering concentration will take classes like Mobile Architecture and Programming, and Software Reverse Engineering. In their final term, all seniors complete a Computer Science Capstone Course, which integrates previous coursework and practical experience. Tuition for this innovative, specialized and respected program is incredibly affordable, costing just $320 per hour for out-of-state credits. Aurora University is a private, nonprofit liberal arts college which is based 40 miles outside of Chicago, in Aurora, Illinois, with additional locations in Williams Bay, Wisconsin and Woodstock, Illinois. The school has a student body of 5,500 students and has a student-faculty ratio of 17 to one. 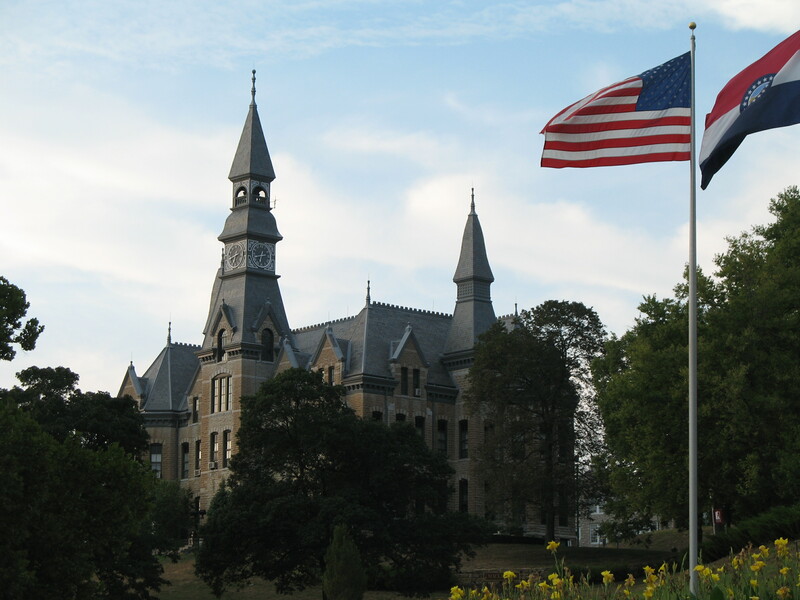 Aurora started off in 1893 as a seminary, located in Mendota, Illinois, and became a secular university in 1971. Today, with its small class sizes and hands-on learning opportunities, Aurora is known for combining the wide range of programs typical of a a university with the personal attention of a small college. The university has more than 40 undergraduate majors available in arts and sciences, business, criminal justice, education, nursing and social work. Aurora also confers a variety of masterÕs and doctoral degrees, along with certificates in applied behavior analysis, business, marketing, mathematics, education, nursing, science and social work. U.S. News and World Report names Aurora 126th- 165th in Regional Universities Midwest. Aurora offers an online Bachelor’s Degree in Computer Science, which is specifically designed for busy, working adults. Classes are just 8 weeks long, and are taught by distinguished faculty with real-world expertise. The program provides a broad foundation in essential subjects within the computer science field, including programming languages, computer architecture, software engineering and database design, and also allows students to specialize in an area of interest through their selection of electives. The degree requires a total of 120 credit hours: 12 in required Math and Communications courses, 8 Electives, and 32 in Computer Science major courses. Class topics include Software Engineering, Web Application Development, and Database Design and Implementation. The course of study culminates in a Computer Science Capstone, which synthesizes prior learning. Tuition is affordably priced at $425 per hour for out of state students.